I’ve got a real treat for you today… Who’s ready for a quick and easy dinner, that’s totally impressive, date-night worthy, and budget-friendly? This BLT is all of those things! 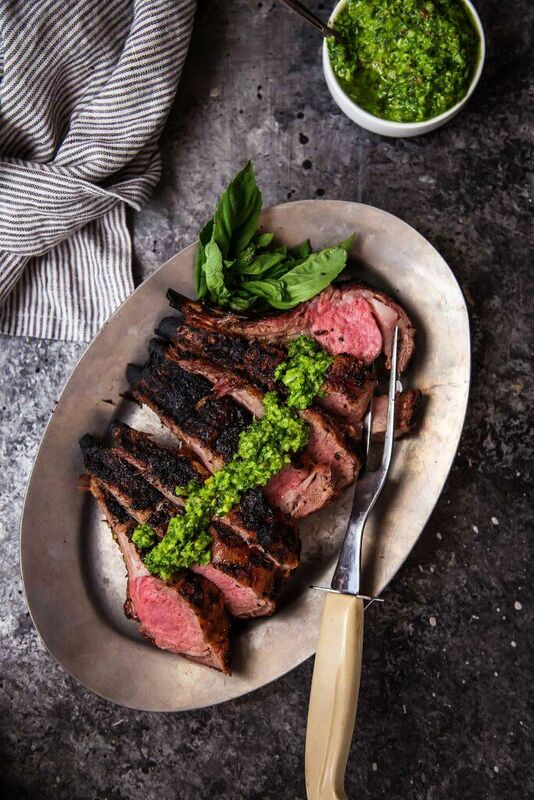 Not only does it come together in under 30 minutes – It’s also under $30 for the entire dinner plus a bottle of wine! I picked up this recipe from a recent food styling and photography workshop that I attended as part of FEAST. It was there that I met Colu Henry and instantly fell in love with her down-to-earth, yet totally drool-worthy pasta recipes. I’ve had her cookbook, Back Pocket Pasta, sitting on our coffee table since I got it, and every night I find myself just skimming the pages and dreaming of which of her recipes I want to cook next. 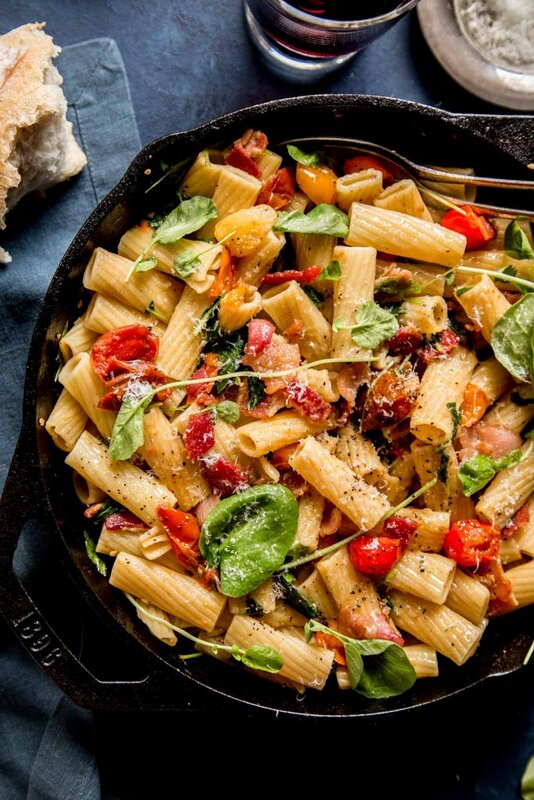 This BLT Pasta is perfect for a date night at home because, first… bacon. I mean, bacon is the way to everyone’s heart, right? 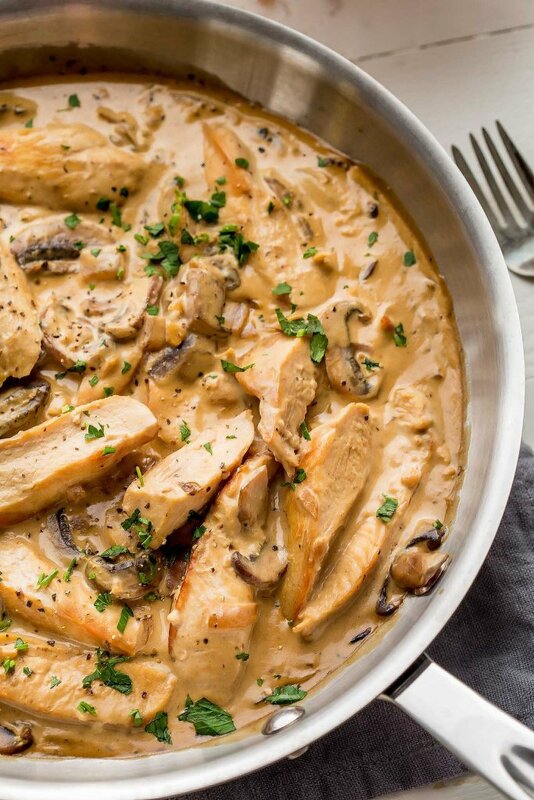 And, because this dish cooks up so quickly, you’re left with plenty of time to pop the cork on that bottle of wine, turn on the Netflix, and get ready to cuddle on the couch. 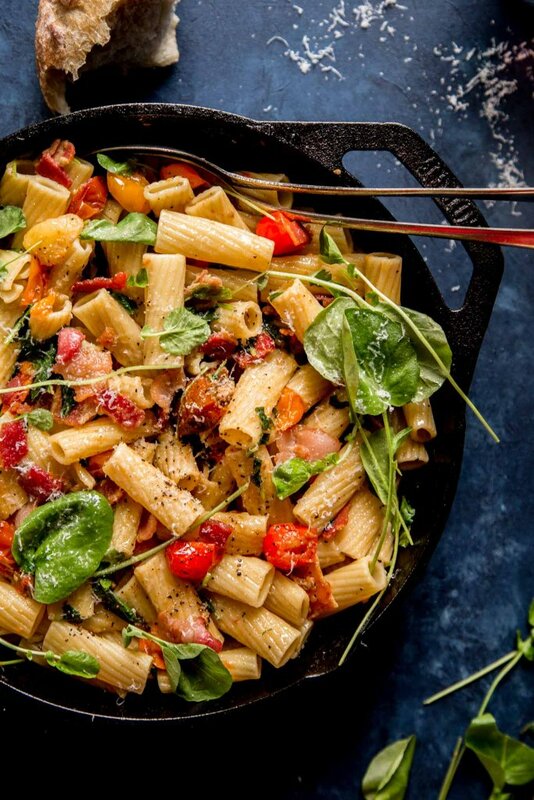 So, why not call Wednesday night “date-night” and cook up this yummy BLT Pasta tonight? It couldn’t be simpler, and it will definitely make that mid-week slump disappear. 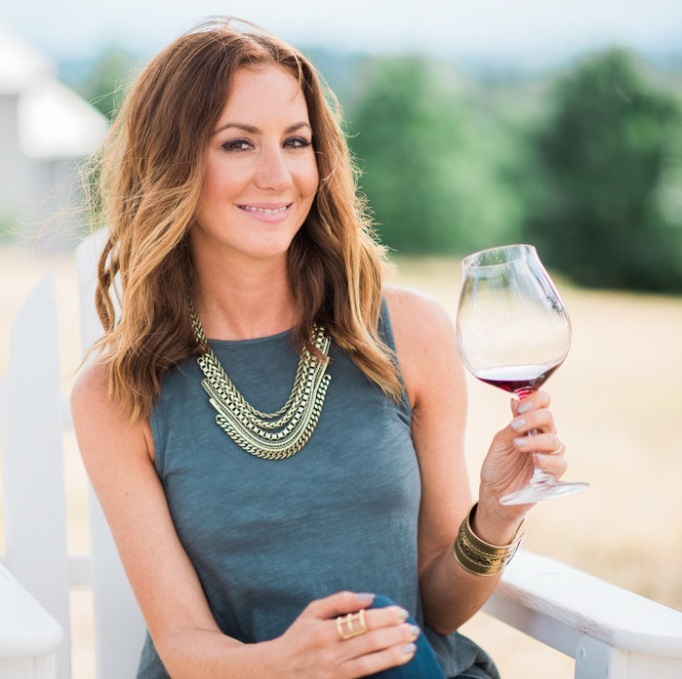 Cheers to #WineWednesday! BLT Pasta is a quick and easy weeknight dinner that's budget friendly too! Fill a large pot with water and 1 tablespoon salt and bring to a boil. Add pasta and cook 10-12 minutes, or until al dente. Reserve 1 cup of pasta water and drain. Drizzle a large skillet with olive oil and add chopped bacon, heat over medium low; cook 8-10 minutes, stirring occasionally, until the bacon is crisp. Remove bacon from pan with a slotted spoon, leaving fat in pan. Increase heat to medium and add tomatoes, ¼ teaspoon salt and ¼ teaspoon pepper. Cook 5-7 minutes, until tomatoes have softened, scraping skillet occasionally. Stir in half of the cooked bacon. Increase heat to medium-high, add pasta and toss to coat in sauce. Add ½ cup of the reserved cooking water and the watercress; stir until watercress wilts. Add remaining pasta water to skillet as necessary to thin sauce. Top with remaining bacon, cheese, 1/8 teaspoon salt and remaining ¼ teaspoon pepper. 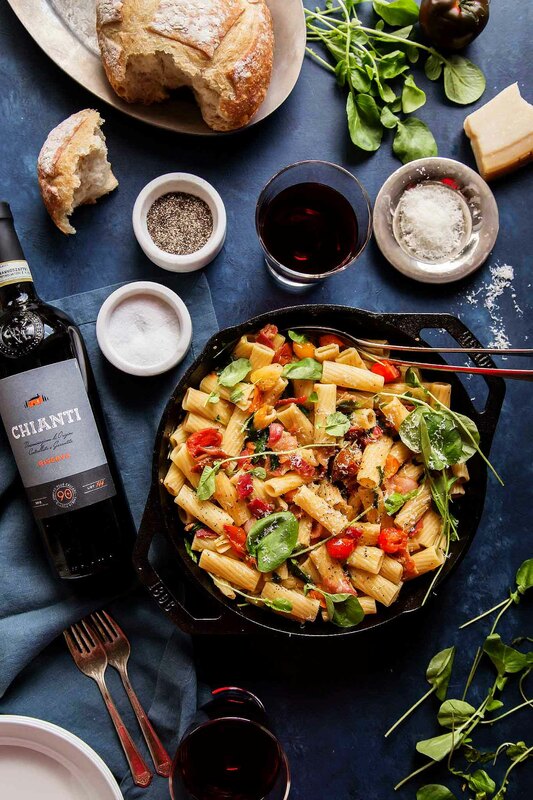 Sangiovese, Chianti, Barbera, Beaujolais Nouveau, and Lambrusco are all great matches for this rich and smoky pasta dish. 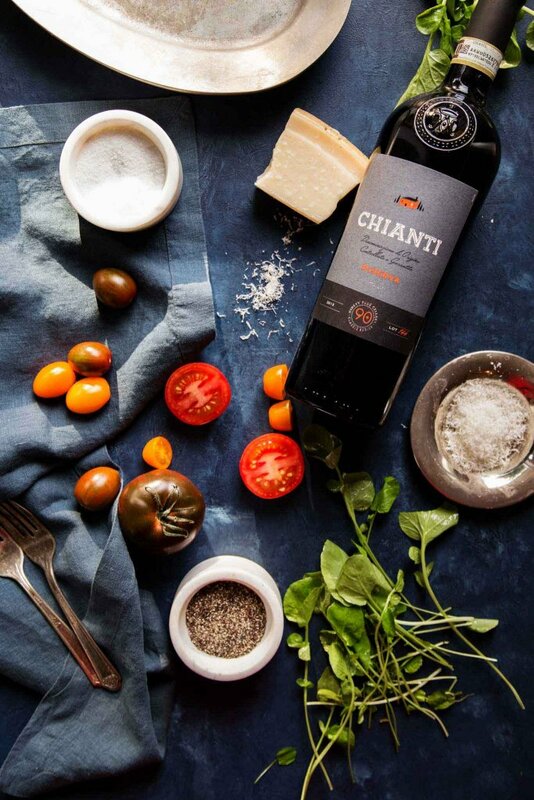 I teamed up with Ninety + Cellars to bring you this post. As always, all opinions are my own. $30 for a fancy date night is such a steal! Great tips, Erin. Ohhh, that workshop sounds so fun! Wish I could have attended that!! I definitely need to make your BLT pasta. It looks delicious! It’s nice that it’s budget friendly too. Quick, easy, cheap, and pasta? You just get me! Can’t wait to try this! 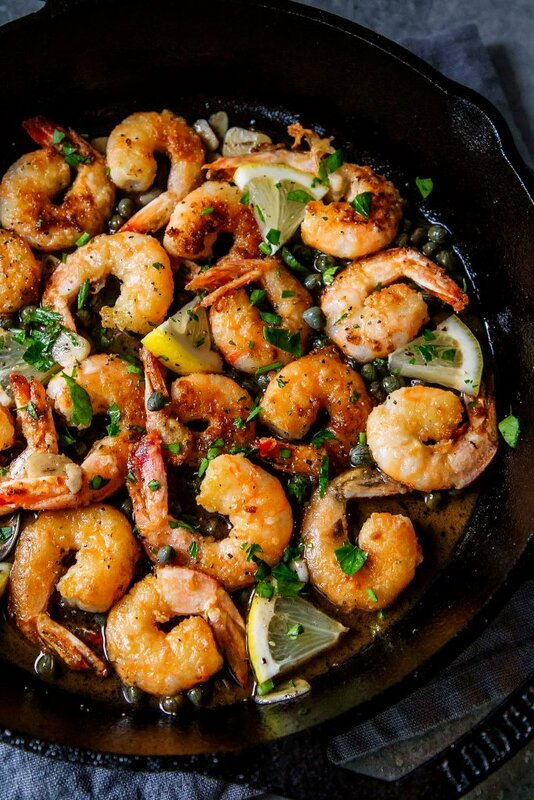 Love how simple, fresh and delicious this is! Doesn’t require me to slave over the stove, but something the whole family can still enjoy! I’m all about quick dinners! This one is so easy Karly!